Knitters sometimes have new projects added to their already full knitting plates through sheer guilt. I hadn't seen Cousin Tim From Chicago in over a decade. I moved to NC in 1995 and hadn't seen many of my favorite family members since then. Brother Derrick LOVED it. But he wasn't the only one with love for the Irish. 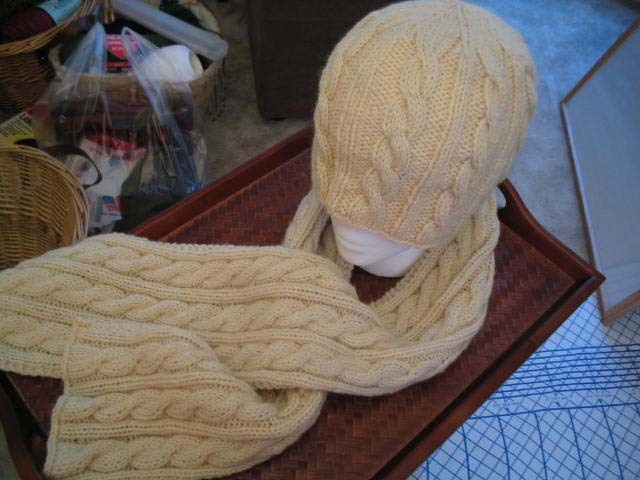 "You've never made ME a hat and scarf set." Dang. That tugged at my heart and I felt guilty that I hadn't knit anything for him. Especially since I love Cousin Tim like a brother. And since he liked the set, of course I HAD to make it for him. 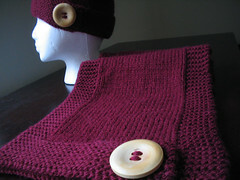 Knitters live for knitting things for people that they KNOW will like what they've made. 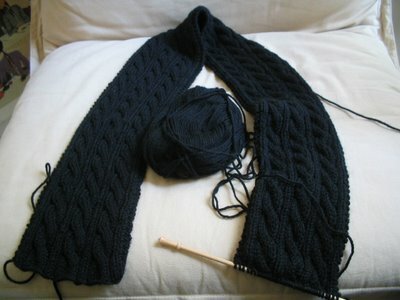 But after finishing my brother's set, I vowed to never knit the scarf again. Don't get me wrong, I LOVE the pattern. But it took me too long to knit my brother's and I didn't want to knit it again. But Cousin Tim liked it, and there was only one thing I could do. I asked Cousin Tim, "IF I were to make it, what color would you want?" "Would you want the scarf the same length as that one, or do you want it shorter?" "I want it just like that one." I came back home to Raleigh and bought the yarn. Wool Ease. It was a while before I pulled out the size 8 needles and got to work. 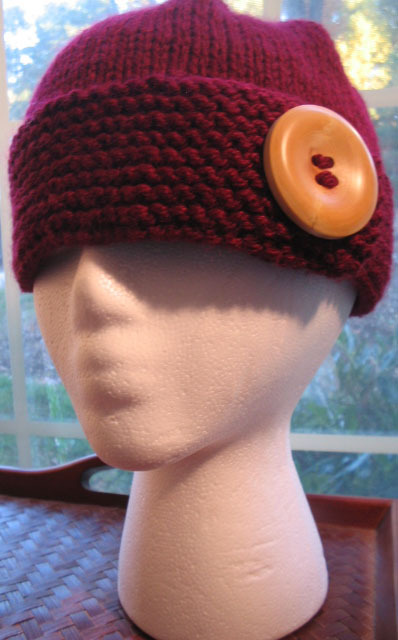 I mostly want to knit it because I believe that he doesn't think I'll do it. He probably thinks that I've returned to Raleigh and forgot about him. Cousin Tim, you shall have your Irish Hiking set. 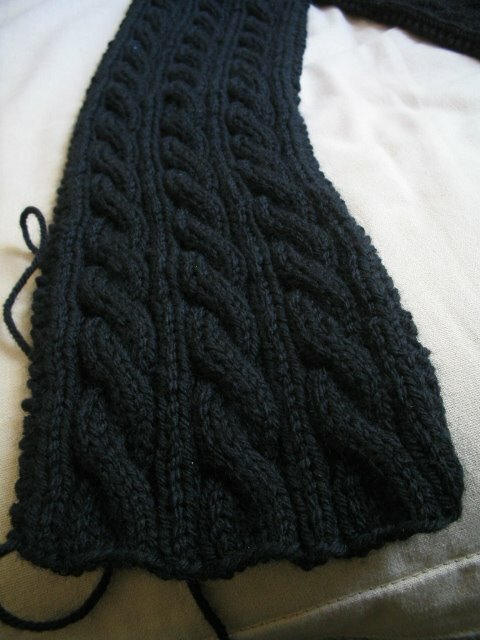 I have 4 more inches to go until I finish the scarf. The set has to be finished by the second week of November.